Little Peach by Peggy Kern infuriated me. It depressed me. Little Peach moved me. You know how some books can pack so much emotion into so few pages that an hour after you finish, you are left reeling still? That was definitely my life after reading Peggy Kern’s Little Peach during the 24 in 48 readathon. This book is enough to break your heart, as they say. Little Peach opens with main character Michelle in the hospital after the tar has been beaten out of her, so to speak. She’s talking or actually, really sort of thinking at a clinical social worker whose name I forget. We learn that Michelle grew up in Philly and was living with her grandfather. He took care of her because her junkie mom was absolutely not up to the task. When he dies suddenly, she is left to live with her mom who has this boyfriend with roving hands. Unfortunately, Michelle is blamed for his actions instead of being helped. And so, in a fit of desperation she runs away to New York City on the hope of finding her best friend’s cousin. There, she is taken in by a strong protector sort named Devon. Only, he has sinister motives and pimps Michelle out with two other girls – Kat and Baby. I hate to use the word resilient after I read this article on Jezebel that decries that word, but Michelle is resilient. She’s been through hell a few times over, yet she still believes there are good people in the world. She still thinks she can be saved by turning to the right people. I love that. I think part of the reason that I felt so much for Michelle’s character in Little Peach was that I have encountered people in my line of work who have been in her shoes. Yes, her story is fictional, but every single day right in my hometown someone is being abused by a person who has been tasked with protecting them. It happens in your neighborhood, it happens everywhere. I think one thing this book does well is raise awareness of human trafficking and how easily girls and women are victimized by it. Michelle ran away from a bad situation to what she had thought was her last hope, and of course this man preys on her. That’s the thing, predators seek out victims and groom them and make them dependent and maybe toss out some platitudes to give them hope. Like, Devon promises this is just to help them save money to buy a big house in the countryside. And of course, Michelle has been kicked so much that she’s desperate for that hope. So, I get it. And I just really liked that this book did not condemn her. I found this book so upsetting simply because it makes the reality of what happens to girls and women all over the country all the more real. I mean, yes, for me, I know a bit better than most due to my prior profession. Now that I am not providing direct services, I feel like I need this reminders of why it is so important to speak up for the disenfranchised and to continue to raise awareness about child sexual abuse as well as human trafficking. 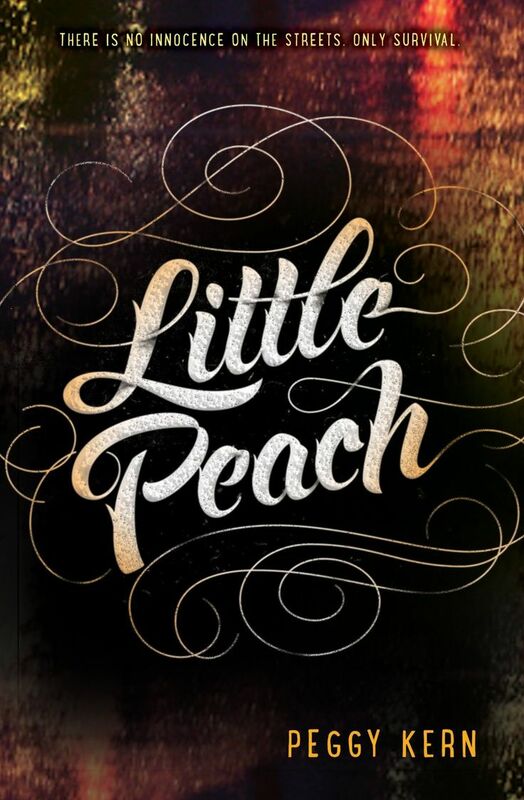 So, this boils down to you need to get your hands on Little Peach by Peggy Kern if you need an emotional punch.